This product is now obsolete and has been replaced by the Analox Ax50 Carbon Dioxide Detector. From fermentation through to distribution, Carbon Dioxide is one of the most common hazards to health in breweries, cellars and drinks outlets. It is also the fourth most abundant gas in the atmosphere. Long term exposure to only 0.5% volume represents a toxic health hazard. Concentrations greater than 15% volume can lead to death. CellarSafe has been designed specifically to warn personnel of these hazards. 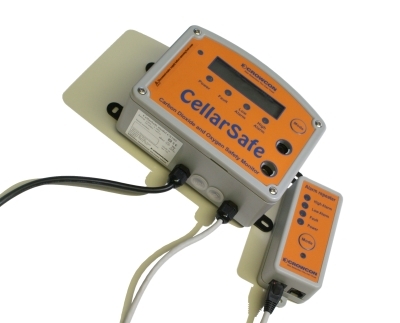 CellarSafe, the cost effective CO2 and Oxygen monitor you can trust.